Welcome to this month’s Banned Books post! 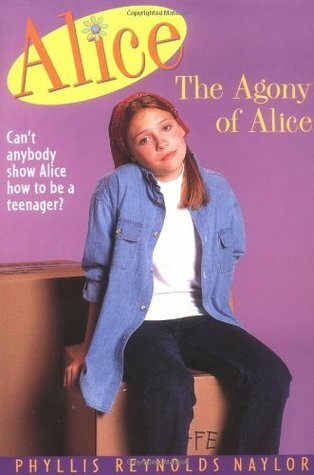 This month we read The Agony Of Alice by Phyllis Reynolds Naylor. Thank you so much to everyone who has read and enjoyed our Banned Books posts in 2017, we’ve really enjoyed doing them. Join us again on January 1st 2018 when we’ll be revealing our Banned Books list for 2018! Merry Christmas and a Happy New Year to you all.